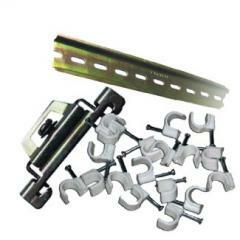 DIN laths Are intended for fastening of the modular equipment in cases of electrocases. Are made of the galvanized punched steel. Length 100, 110, 125, 200, 225, 300, 500, 75, 1400 mm. Unbelievable price on Crampons in Almaty (Kazakhstan) company "Kaztransformator" TOO. Wide choice of quality products at affordable prices.